Allahabad State University Admit Card 2019 has been released. Students can download ASU Admit Card from this page. Allahabad State University has released the Admit Card for Main Exam (Regular/Private/Ex-Student) 2018-19. The University is conducting the Main Exam 2018-19 from March 06, 2019. ASU Admit Card can be downloaded by providing “Registration No and Date of Birth”. Students must download the ASU Admit Card 2019 for attending the exam. Carry Allahabad State University Admit Card and college ID card on the day of the exam. No student will be entertained without the admit card. 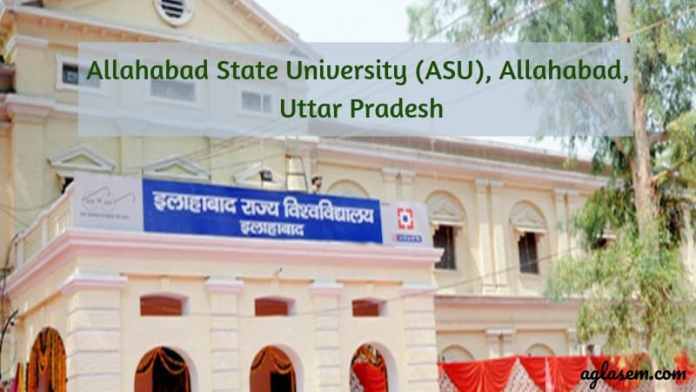 Check the page for Allahabad State University Admit Card 2019. Latest: Allahabad State University has released the Admit Card for Main Exam (Regular/Private/Ex-Student) 2018-19. Allahabad State University has released the Admit Card for the students eligible to appear in the exam. ASU Admit Card can be checked for exam centre, exam date, exam time, and subject offered. Allahabad State University has already released the exam time table online. Students can check the exam schedules for BA, B.Sc, B.Com Part 1, 2, 3. Download the Admit Card through the link provided below. Click Here to download Admit Card for Main Exam (Regular/Private/Ex-Student) 2018-19. Click Here for Private Students Admit Card. The University has released the timetable for Main Exam 2018-19 online. Check the timetable below. How to download Allahabad State University Admit Card 2019? Students appearing for the Allahabad State University, Main Exam 2018-19 can download the admit card through the link mentioned above. The steps to download the ASU Admit Card is mentioned below. Follow the steps can download the admit card. Check the details printed on Allahabad State University Admit Card 2018-19. To appear in the university main exam ASU Admit Card is the important document. No student will be allowed to appear for the exam without the admit card. Allahabad State University releases the admit card for the students who are eligible to write the exam. The Admit Card holds the information of the student and the exam being conducted. Students can check their Admit Card for exam centre details. The Admit Card of each student is checked during the exam by the examiner. 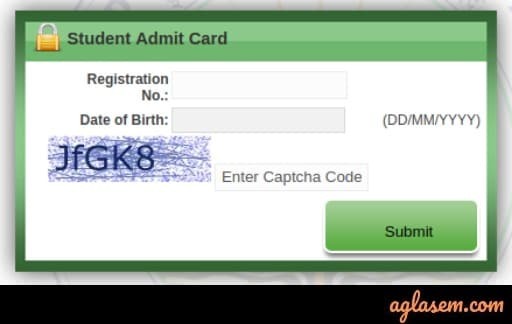 Students have to display their Admit Card when asked to do so. It is advised to keep the admit card safe until the exam result is released. Students must not write anything on the admit card. Allahabad State University releases the Main / Semester Exam result online at the official website. The University results are released within a month after the completion of the examination. Students can check Allahabad State University Result by providing the “Roll No and selecting the Result Type”. To qualify the exam students to have to secure the minimum required percentage in aggregate and pass in all the paper appeared in that exam. The promotion of the students to the next semester will be done on the basis of the university rules and regulations.